Editor’s note: This Care2 favorite was originally posted on March 17, 2014. Although we know more about elephants and their ecological importance than ever before, humans have only become more cruel to these magnificent creatures. 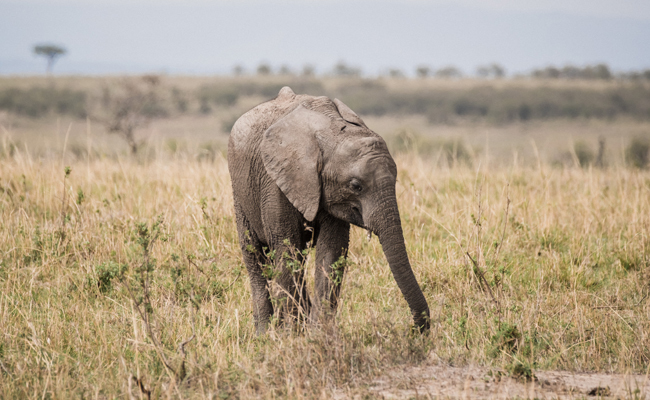 “Conservationists warned that Africa could lose one-fifth of its elephants unless something is done to halt poachers and that elephants could disappear in the wild in Africa by 2025,” writes Care2′s Kristina Chew. Very few of us ever get the chance see an elephant up close and personal, in its own habitat. This lack of experience makes it difficult to grasp the gravity of the situation, as well as how much we stand to lose if elephants are driven to extinction. So here are seven amazing things you might not know about these gentle giants — seven elephant facts that make the ivory trade and captivity even more absurd. 1. The elephant is the largest land animal on the planet. The African species stands between 8 and 13 feet tall and weighs 5,000 to 14,000 pounds. The Asian elephant stands about 6.6 to 9.8 feet tall and weighs 4,960 to 12,125 pounds. The largest elephant on record weighed about 24,000 pounds and stood 13 feet tall. Even baby elephants are quite imposing, entering the world at 3 feet tall and about 200 pounds. After carrying their unborn young for around 22 months, it’s no wonder that mother elephants sometimes need a break. Elephant culture embodies the “it takes a village” mindset, with mothers appointing several babysitters to care for their babies. With this free time, elephant moms can focus on eating to produce sufficient milk. 3. Elephants use their trunks as a snorkel — not a straw! Many people believe the myth that elephants drink water through their nose. While it’s true that elephants can draw up to two gallons of water into their seven foot-long trunk, they only hold it there before shooting it into their mouth. Elephants can also use their trunks as snorkels when they wade in deep water. 4. Elephants use their ears for air conditioning. Flapping the ears helps to cool an elephant in two ways. In addition to enabling the ears to act as a fan and move air over the rest of the elephant’s body, flapping also cools the blood as it circulates through the veins in the ears. As the cooler blood re-circulates through the elephant’s body, the animal’s core temperature will decrease several degrees. And, yes, those massive ears allow the elephant to hear exceptionally well, but African elephants can also “hear” with their feet, thanks to sensory cells that detect vibrations. 5. Elephants speak more languages than you. As it turns out, elephants have been using their massive brains to listen in on human conversation, which helps them avoid danger. “[N]ew research has demonstrated they’re even more sophisticated than we thought and have learned to differentiate between different languages, ages and genders among humans and determine who poses a threat to them,” writes Alicia Graef for Care2. 6. Elephants care for their sick. Worrying about a loved one who is sick or injured isn’t limited to humankind. Elephants are extremely social creatures. If an elephant becomes sick, herd members will bring it food and help it stand up if it’s weak. Elephants will also “hug” by wrapping their trunks together in displays of greeting and affection. Learning how much elephants love and care for each other makes this behavior no surprise. When a member of the herd can’t be nursed back to health, elephants engage in death rituals and mourning. They are one of the only known mammals besides humans to do this. Thank You for Sharing these amazingly awesome stats on these Beautiful, Sentient, Intelligent and Gentle Giants. How could anyone poach these magnificent creatures. Pick on someone your own size. Elephants are such wonderful, iconic animals! We have no right to treat them as if they are commodities to be used as the whim takes us! Thanks for sharing.